A wobbly or shaky mattress changes the way you sleep at night. Every time you make even the slightest movement, the bed shakes and moves. You even experience problems caused by your spouse or significant other moving at night. The problem often occurs because the bed frame itself is wobbly, which makes the entire bed shake. Fixing the wobbly mattress means looking at all components of the bed and determining the cause of the movement. A wobbly mattress is often a quick fix. Remove the pillows, bedding and mattress from the bed. Gently shake the bottom of the bed frame and if the box spring moves, then the problem might relate to the bed frame. Tighten any of the screws or bolts on the bed frame, which adds more pressure and helps stabilize the bed. Check the joints on the bed frame, which are the spaces where the rails meet the headboard and footboard. Squeeze a small amount of wood glue into any gaps that you see. As the glue dries and expands, it provides a stronger bond that reduces the overall shaking. Sit on one corner of the bed and move from side-to-side, looking for any signs of rocking or shaking. Work your way around each corner. 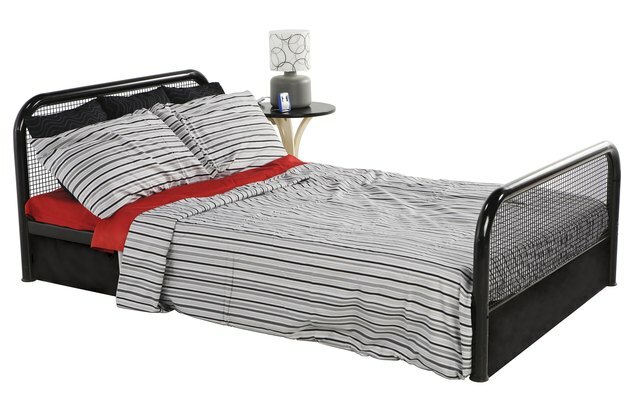 If you feel any rocking, then the bed might sit unevenly on the floor. Slide a small wood block under the corner of the bed where you noticed the rocking sensation. 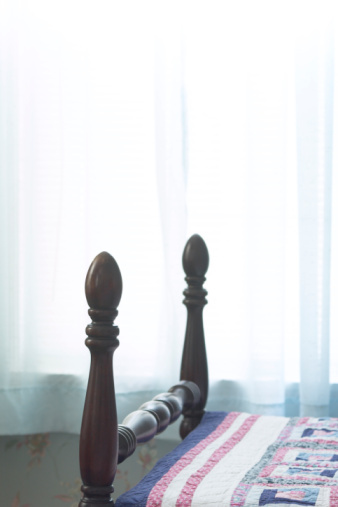 Replace any loose or missing ropes from underneath the bed, if your bed frame features a rope base. Gently tape each wood peg with the hammer, forcing the pegs back into the original position on the frame. Sometimes the wobbly feeling results from a lack of support underneath the mattress. Measure the width and length of the box spring and subtract one inch from all sides. Cut the plywood to the same dimensions with a jigsaw. Gently place the plywood piece on top of the box spring and cover with the mattress. In some cases, the mattress wobbles because it sits unevenly on the box spring, but the plywood provides more stability for the mattress. What to Do About a Bulging Mattress?